News Corp Australia started its presentations for the annual Come Together event in Melbourne this week before it moves to Sydney in a few days. 21st Century Fox has released its results for Q3 with brothers Lachlan and James Murdoch hosting an analysts call following the release of the financials. At the start of the conference call, Lachlan Murdoch said, as is company practice, they would not be commenting on market speculation as he alluded to reports of a Comcast bid for the entertainment assets Disney is planning on acquiring. The brothers did comment that any offers would of course be evaluated and the board of directors was well aware of its fiduciary duty to all shareholders. 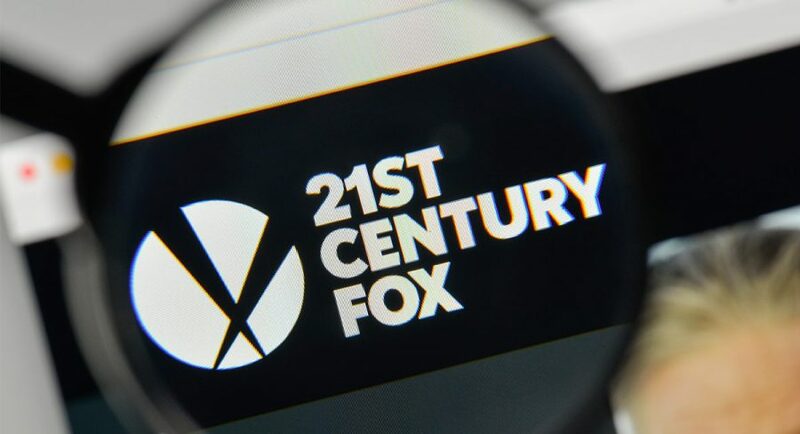 With work progressing on the Disney transaction, Lachlan said the board hoped to be ready to ask for shareholder approval of the “New Fox” during the US summer. Cable Network Programming quarterly segment OIBDA increased 16% compared to the prior year quarter to $1.68 billion, driven by a 10% revenue increase on higher affiliate, syndication and advertising revenues partially offset by a 6% increase in expenses. The increase in expenses was primarily due to the first year of sublicensed Big Ten rights and higher sports and entertainment programming costs at Fox Networks Group International (“FNG International”), partially offset by lower sports programming costs at STAR India (“STAR”) due to a shift in timing of cricket matches. International affiliate revenue increased 14% driven by rate and subscriber growth at both FNG International and STAR. International advertising revenue declined 1% as strong growth at FNG International was offset by the negative impact of a shift in timing of cricket matches at STAR. International OIBDA contributions were 23% higher than the prior year quarter as STAR’s contributions more than doubled but were partially offset by lower contributions at FNG International, where higher costs more than offset the higher reported revenues. Television reported quarterly segment OIBDA of $78 million, a decrease of $112 million compared to the prior year quarter. The decline principally reflects the absence of advertising revenue and OIBDA generated from the broadcast of the Super Bowl in the prior year quarter. Additionally, this quarter’s results reflect revenue and OIBDA declines from lower National Football League (NFL) post-season ratings and three fewer NFL broadcasts in the current quarter versus the prior year quarter that more than offset double-digit retransmission consent revenue growth and improved entertainment OIBDA contributions. Filmed Entertainment generated quarterly segment OIBDA of $286 million, a 23% decrease from the $373 million reported in the prior year quarter. The OIBDA decline reflects lower contributions from the television production business due to higher deficits related to more new drama series delivered during the quarter and the absence of revenues from the prior year subscription-video-on-demand licensing of The People v. O.J. Simpson: American Crime Story. Additionally, during the quarter, the Company incurred costs supporting FoxNext Games’s successful inaugural mobile game release, Marvel Strike Force. Quarterly segment revenues of $2.24 billion were similar to a year ago as higher theatrical revenues at the film studio reflecting the successful worldwide theatrical performances of The Greatest Showman, The Shape of Water and Maze Runner: The Death Cure were offset by lower worldwide syndication revenues at the television production business. 20th Century Fox’s films led the industry in awards season, both in terms of nominations and wins. 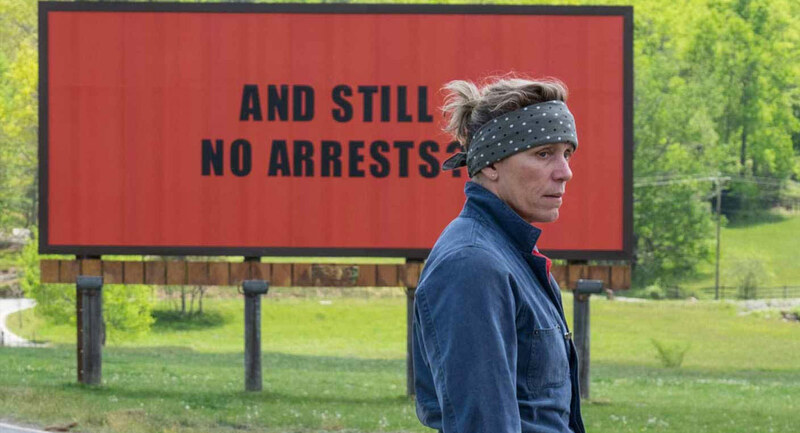 Our films earned an industry-leading 6 Academy Awards, including Best Picture for The Shape of Water, and 7 Golden Globe Awards, following 27 nominations in both instances, the most of any studio. 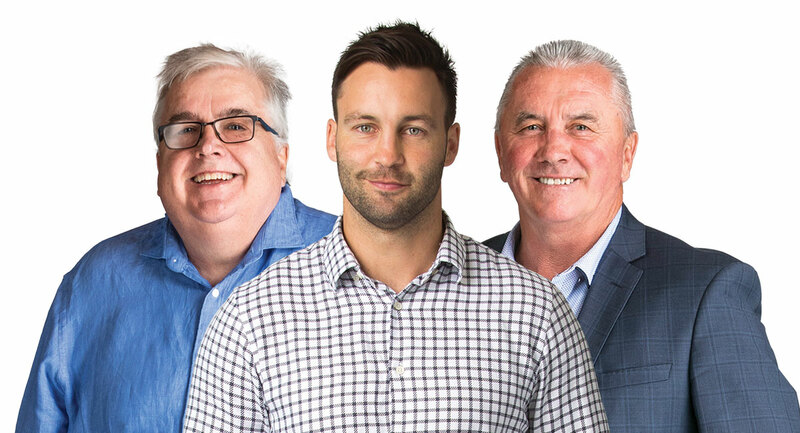 The new breakfast host at Macquarie Sports Radio in Melbourne is no stranger to breakfast radio or to listeners of sister station 3AW. For many years Tony Leonard was the fill-in breakfast host, along with Darren James, for 3AW’s Ross and Dean and then Ross and John shows for many years. Leonard is also a familiar voice on weekends hosting and commentating some of the AFL games 3AW covers, something he continues to do. Leonard is also the host of Pub of the Week on Fridays during Neil Mitchell’s #1 3AW morning program. Of his years filling in for Ross Stevenson, Leonard was under no illusion who the audience really wanted. “No matter how good, entertaining or engaging I might be, people would just be thinking, can we get him off and just get Ross back!” Leonard told Mediaweek. One of the few independents left with radio stations in a sizeable single regional market could be in play. 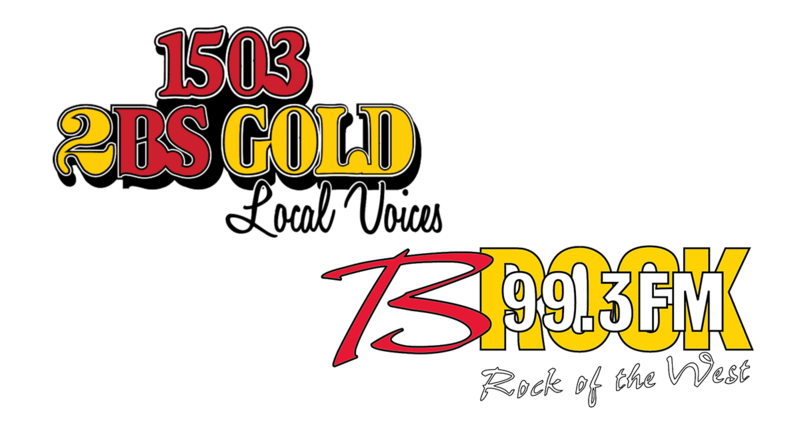 Mediaweek had an unconfirmed report that Ron Camplin’s two Bathurst radio stations – 99.3 B-Rock and 1503 2BS Gold – are about to change hands. The ownership speculation came just hours after Camplin was awarded a rare international honour. The elderly regional radio owner has received many awards over the years, but speaking to Mediaweek on Wednesday, Camplin indicated this award was special. But first things first, what about that ownership speculation? 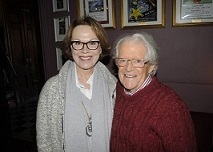 “I’m far too old to be in radio,” laughed Camplin, 87, indicating he might be ready to quit the sector. “When we have something to report we will tell you.” He said he is regularly talking to many people about all sorts of things. He did remind us though that he and his staff continue to have fun running the profitable business in Australia’s fastest-growing inland city. A likely owner would perhaps be Southern Cross Austereo. When asked about the likelihood of a Bathurst regional acquisition, an SCA spokesperson told Mediaweek they had no comment. Bathurst Broadcasters changed advertising representation from The Radio Sales Network last year to Southern Cross Austereo radio sales. B-Rock also takes a substantial amount of SCA’s Triple M content including Kennedy Molloy, Luke Bona overnight, My Generation with Ugly Phil and Roy and HG. Camplin’s award came during the annual International Broadcasters IdeaBank annual conference. The group’s conference was being held in Bathurst for the second time – the first was in 1989 – with a group of 40 Americans invading the fast-growing regional city this week. The award was the Lifetime Achievement Award for 70 successful years in commercial radio. The Lifetime Achievement Award has only ever been given out five times since 1964 and this was the first time it had been awarded in Australia. 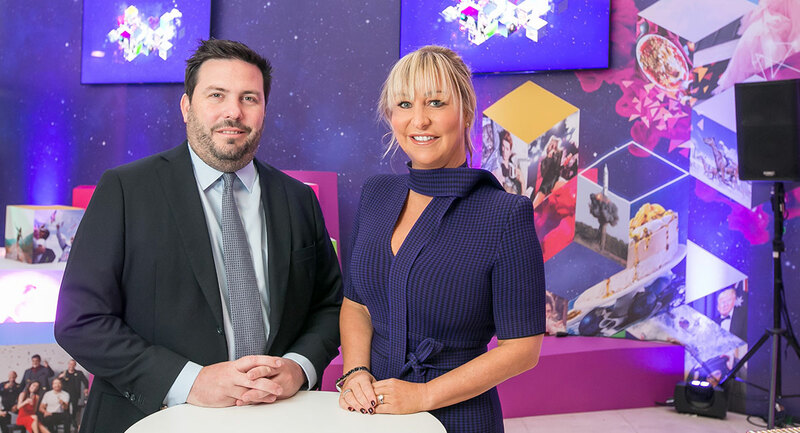 The International Broadcasters IdeaBank is an association of operators who share their learnings, with Camplin telling Mediaweek he had learnt much from the group that he has implemented over the years to his stations. He also noted some of his initiatives have been successfully replicated by other owners around the world too. Membership of the IdeaBank is restricted to just 100 and no competitors from a member’s market are allowed to join. Although members tend be smaller hands-on operators, they represent some big markets in the US and some members are also on the board of the National Association of Broadcasters (NAB). Other members in Australia include ACE Radio and the former major shareholder of Deniliquin’s 2QN and The Edge Dave Robertson. APN Outdoor has released the results of its latest case study featuring Pureprofile. 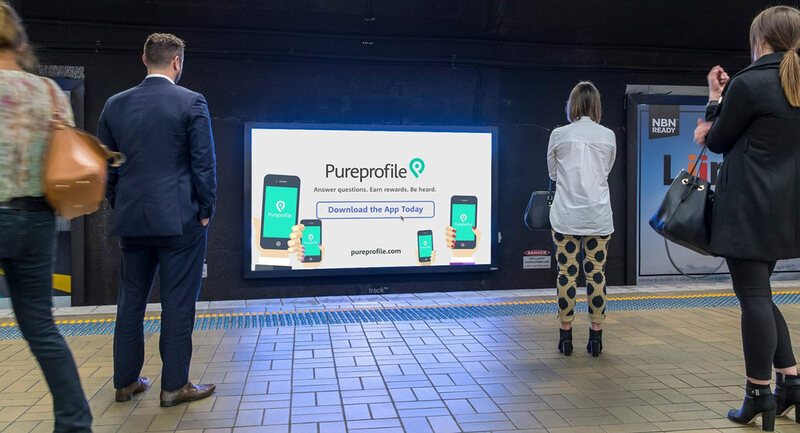 Pureprofile utilised APN Outdoor’s national digital rail network to encourage commuters to download and engage with their online research panel. Run exclusively through XtrackTV, the campaign yielded a 121% increase in Pureprofile app downloads (compared to the prior 12-week average), as well as a 35% increase in Pureprofile panel registrations during the period. The campaign, which featured a 15-second TVC on XtrackTV screens across five metro markets, lasted two weeks from January to February 2018 and saw Pureprofile app downloads more than double. The study found 77% of respondents admitted they “notice or pay attention to XtrackTV”, 73% agreed they “often find themselves looking at the ads to kill time”, while 61% said they like seeing advertising on XtrackTV. APN Outdoor’s general manager, marketing, Charlotte Valente, said: “The results of our partnership with Pureprofile are incredibly exciting, proving the tangible benefits of the XtrackTV platform in driving immediate action. 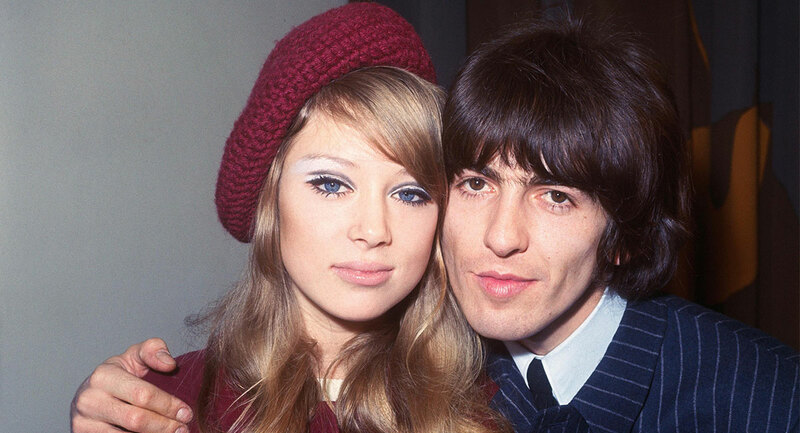 Pattie Boyd was the wide-eyed, model face of 60s London who inspired ex-husbands George Harrison and Eric Clapton to write some of the greatest love songs of the 20th century. Boyd has arrived in Australia for shows where she brings her story and a gallery exhibition of her work. Most famously, Harrison wrote “Something” and “I Need You”. Gripped by the desire to wrest Boyd from the arms of an increasingly errant Beatle, blues-god Clapton wrote “Layla” and, once they were married, “Wonderful Tonight”. 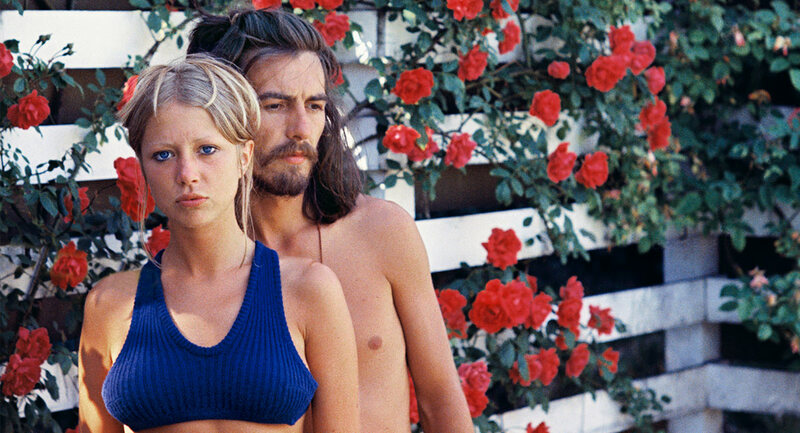 Next week Boyd shares her compelling and entertaining life story to audiences in Sydney and Melbourne (and then Auckland too) during an intimate three hours of George Harrison, Eric Clapton and Me – An Evening with Pattie Boyd for promoter Liberty Stage. It’s an era that’s been referred to as the “rock-ocracy” of the 60s. Those who moved in that circle included members of The Beatles, The Rolling Stones, Fleetwood Mac, Led Zeppelin, Cream, Jimi Hendrix and Pink Floyd. Though a fashion-world icon in her own right, after she met Harrison on the set of A Hard Day’s Night Boyd was carried along by the hysteric adulation of the Beatles era and became one of the world’s most talked about musical muses. She features in Clapton’s recent documentary Life in 12 Bars. 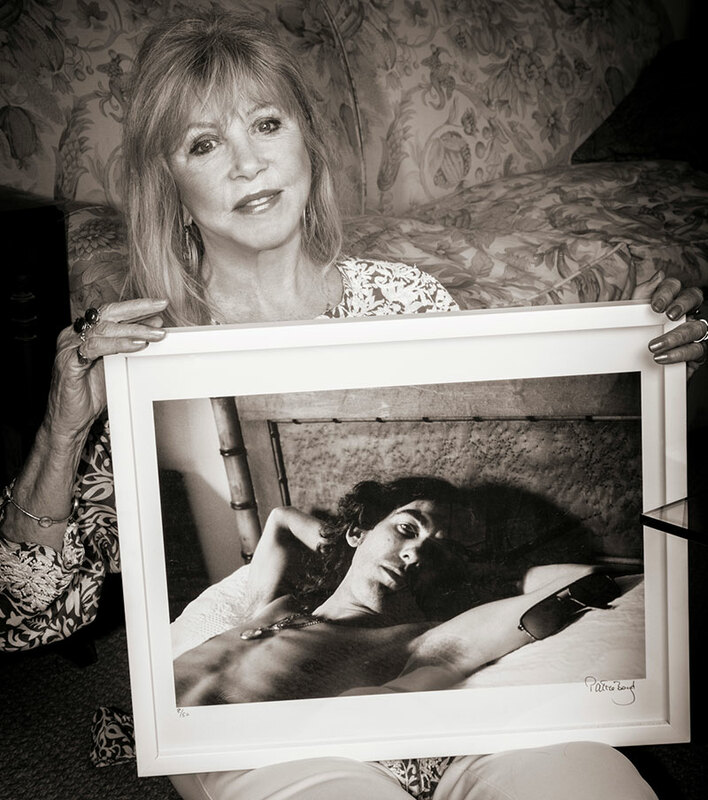 As well as the Evening with Pattie Boyd, Sydneysiders will be able to visit her second exhibition in 10 years at the Blender Gallery as part of the city’s annual Head On Photo Festival. It will feature selections from her remarkable archive in an exclusive exhibition. Boyd’s modelling career and marriages put her in the enviable position of being able to take intimate photographs of some of the world’s greatest musicians. Accordingly, her photography documented events – public and personal – around the lives of Harrison, Clapton and their friends. They included Paul and Linda McCartney, John Lennon, Ringo Starr, members of the Rolling Stones, The Who, Cream and more – performing, recording and partying. The exhibition opening on May 5 until June 2 will show many vintage prints and intimate Polaroids never seen before. 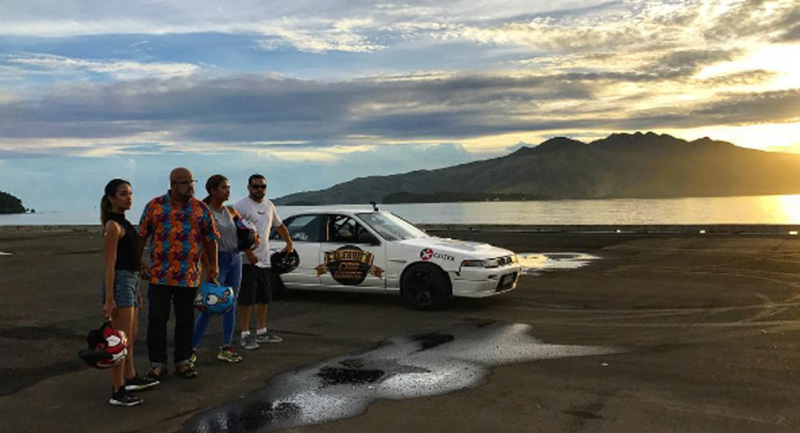 Michael McKay’s activeTV is bringing its successful reality TV show format Celebrity Car Wars to Australia, following its success in Southeast Asia. McKay is an experienced TV producer with credits including The Amazing Race (US and a number of its international franchises including Australia), Netflix’s I Told You So, Seven’s Woolworths Carols in the Domain and more. Mediaweek spoke with the activeTV founder and president at the end of last year. London-based distributor TVF has been appointed to handle international sales of seasons one and two of Celebrity Car Wars. 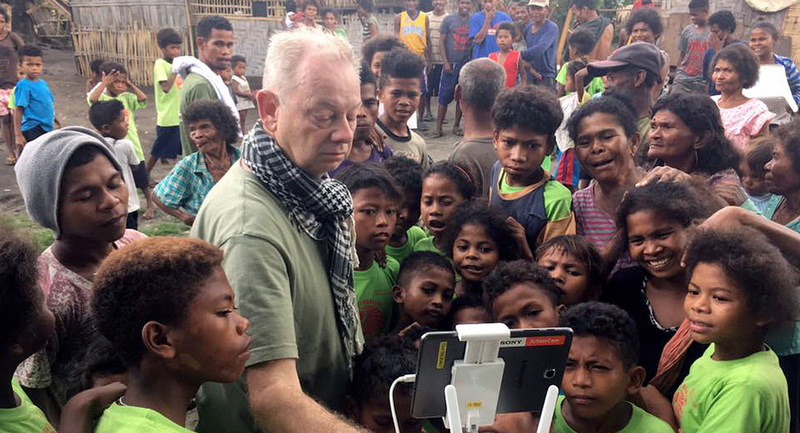 It has been recently commissioned for a third season by A&E’s History Channel Asia. “Our primary broadcaster loves the unprecedented reach across Southeast Asia, audiences love the rivalries and epic challenges, and our major sponsor, Caltex, loves the natural brand integration activeTV delivers season after season,” said McKay. 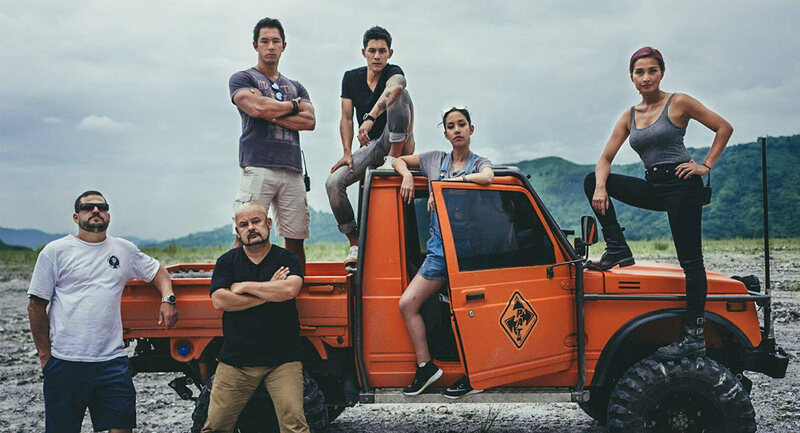 The car show has a 40% female audience profile and has been watched by 21 million viewers across Southeast Asia. The second season of Celebrity Car Wars proved to be very successful on social media. It recorded a digital reach of 11 million on Facebook and 21 million on Instagram. The Celebrity Car Wars format is now available in Australia along with a slate of new originals in development by activeTV Australia. Episode three of the week of Home and Away did 697,000 after two nights on close to 700,000. It was time for the first competitor renovation on House Rules with Jess and Jared from Adelaide looking for some New York style. After two nights close to 600,000, the midweek episode did 624,000, unable to help Seven lift on what was its lowest Wednesday survey share if the year. An episode of Modern Family did 357,000 followed by Back With The Ex on 140,000. A Current Affair lifted to 859,000 with one story revealing some internet scammers. The US sitcom hour started with Young Sheldon on 649,000 followed by The Big Bang Theory with 579,000. Britain’s Got Talent then did 499,000. Melissa McCarthy and Ben Falcone were promoting their new movie Life Of The Party on The Project and Fitzy did his best Peter Garrett on the set. The midweek audience was 551,000. 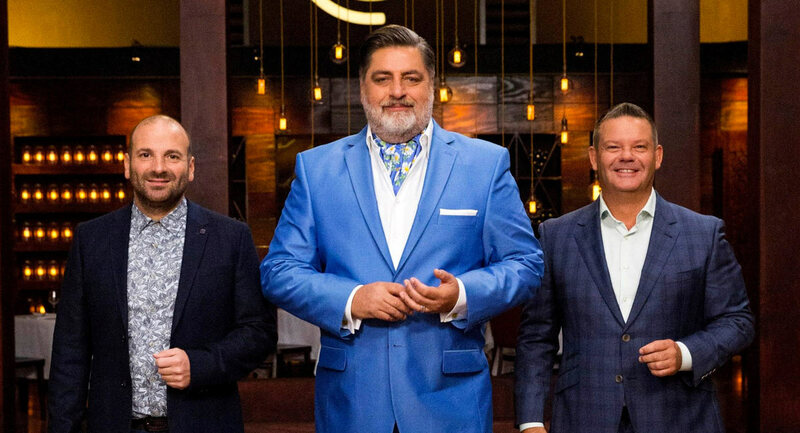 MasterChef featured the top 24 competing against each other for the first time in the MasterChef kitchen. Episode three of season 10 did 910,000, which is the best number so far in launch week as the show won its timeslot and was #1 non-news show of the night. It was then time for the season finale of Hughesy, We Have A Problem which did 469,000 after 430,000 last night. Week two of the new midweek lineup started with Home Delivery on 618,000 after this season launched with 609,000. Episode two of Gruen screened after competing versions of Wil Anderson’s behaviour during the taping. This week Wil, Todd, Russel and guest panellists Kimberlee Wells and Claire Salvatti discussed Facebook and Brand Zuckerberg and a pitch to shut down the internet. After launching with 731,000 a week ago, last night did… 731,000. The Weekly with Charlie Pickering then did 550,000 after launching with 565,000. SBS screened the first Eurovision semifinal from Portugal last night with 271,000 watching. A smaller crowd of under 40,000 watched the semifinal live after 5am AEST. The second semifinal with Jessica Mauboy competing screens Friday live nice and early, and then again on Friday evening. After 10pm The Good Fight did 99,000. James Murdoch, the 21st Century Fox chief executive, is planning to strike out on his own if his company’s pending deal with Walt Disney closes, most likely by starting a venture-capital fund to invest in digital and international media businesses, according to people familiar with the matter, reports Dow Jones. After Disney last December announced an agreement to purchase the bulk of Fox for $US52.4 billion, people close to the deal said Murdoch could wind up taking a senior position at Disney. The ABC has been told to get over its “entitlement culture” and accept the freeze to its $3.16 billion in taxpayer funding outlined in the Budget, reports News Corp’s Matthew Benns. ABC boss Michelle Guthrie yesterday vowed to fight the freeze presented by Treasurer Scott Morrison that will effectively cost the public broadcaster almost $84 million – less than 0.4% of its taxpayer funding – over three years. Despite the freeze, the ABC will still receive a massive $3.16 billion in taxpayer funding over the three years to 2022. It will also remain exempt from the government-wide efficiency dividend, which slashes budgets in anticipation of savings the department is expected to make. Liberal MP Craig Kelly said it’s difficult to difficult to see what they are complaining about. The Leftist collective running the ABC really has gone too far when even the Turnbull Government is now attacking its bias and funding. ABC staff must have thought Prime Minister Malcolm Turnbull was on their side when he had his mate, Justin Milne, appointed chairman. Milne added to that impression when, in his first interview a year ago, he claimed the state-funded broadcaster was not actually biased. Indeed, it made sense for Turnbull to have the ABC keep doing what its wall-to-wall Leftist staff were doing already: promoting his global-warming cause and attacking his chief rival, conservative Tony Abbott. But something has now changed. The ABC’s bias has become even too brazen for this Labor-lite government and it’s now open war – war that spilled into Budget cuts on Tuesday. 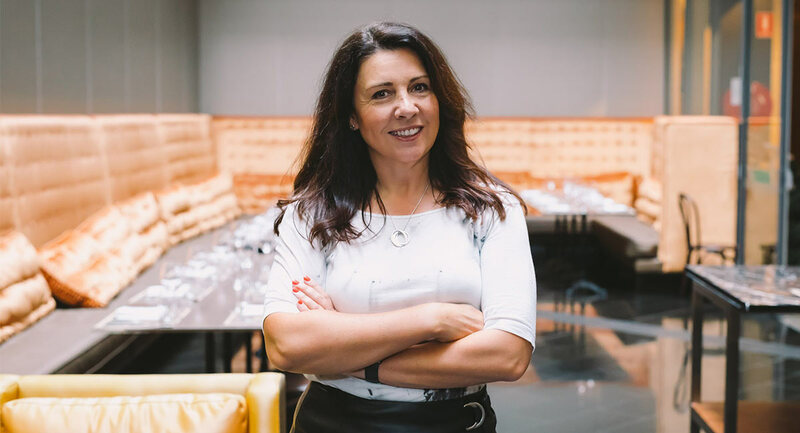 Former Pandora, eHarmony and WooliesX marketing director Nicole McInnes has joined OVO as the media telco’s first chief marketing officer. Starting this week, McInnes is the first C-Suite appointment for OVO, which has experienced exponential month-on-month growth since launching in late 2016 by offering mobile phone plans to under-serviced Australian consumers, matched with its own sport and entertainment broadcasting platform, OVOPlay. “The day of the telco becoming the broadcaster has been a long time coming. OVO knows it, and is ahead of both industries in making it happen,” McInnes said. “As a digital marketer who has been fortunate enough to get paid to indulge my deep interest in content and human connection that media represents, OVO is an exciting opportunity. This is a company that, for all its success to date, is still in its early stages, with so much more creativity and creation to be undertaken to help it really take off. “From a standing start in late 2016, OVO has attracted more than 60,000 mobile subscribers. More than 1.5 million fans viewed our unique content in 2017. We’ve proven the model works and have established a successful business, but we’re just getting started,” said OVO CEO Matt Jones. “I’ve known Nicole for many years. It was her experience inspiring consumers on behalf of digital native companies that were pioneering machine learning algorithms that convinced me she was right for OVO. 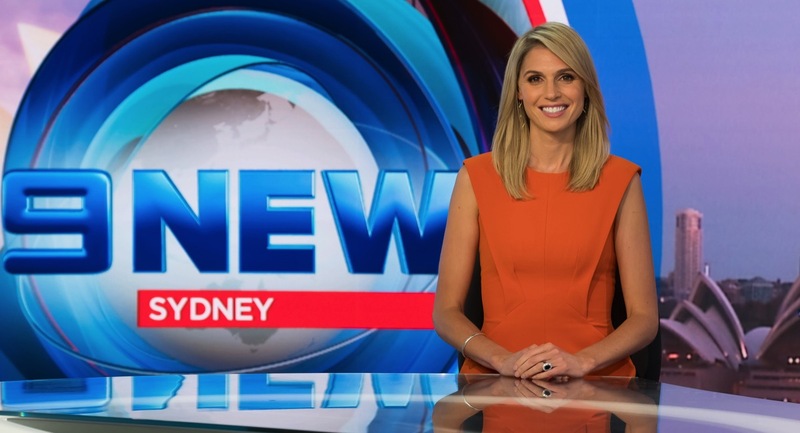 News reporter and presenter Amelia Adams has been appointed as the next European correspondent for Nine News. Nine national director of news and current affairs Darren Wick told staff: “Amelia has been with our network since 2009 and has excelled in roles as a reporter for TCN News and as a presenter on national bulletins, TCN 6pm and daytime News, the Today show and Weekend Today. “In her past decade with Nine, Amelia has reported on and presented live rolling coverage of bushfire emergencies, floods, Federal Government leadership spills, devastating tropical cyclones, the refugee crises on Christmas Island, the destructive Christchurch earthquake and the Japanese tsunami, where three successive meltdowns at the Fukushima nuclear plant threatened an entire nation and kept the world watching the disaster unfold live for an extraordinary and terrifying week. Amelia Adams and her husband will relocate their young family to London from the beginning of July. Adams replaces Seb Costello, Nine News current European correspondent. Champion racehorse Winx has proven to be a big winner for Tabcorp’s broadcast service Sky Racing, helping the channel achieve a huge lift in ratings this year, reports The AFR’s John Stensholt.